Photos of Bollywood Stars Cricketers Charity Match that as played in Dubai. 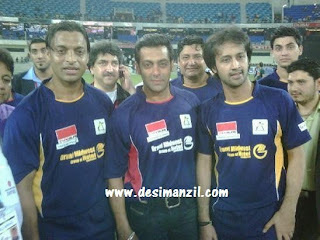 Pakistani Cricketer Shoaib Akhtar, Shoaib Malik, Imran Nazir and Bollywood Actors Salman Khan, Arbaaz Khan, Ritest Deshmukh also played in this match. following are some of the photos of this match.